- Is in a contrasting colour to the hull so that it is clearly distinguishable. 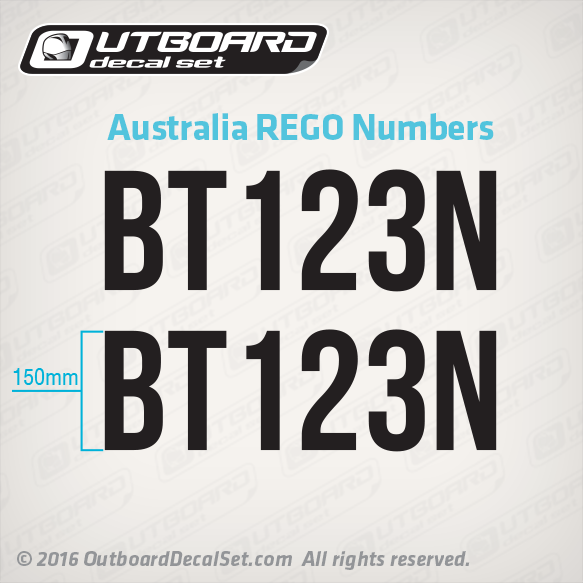 If the Color of your boat is white then the Boat Registration stickers should be black, if your boat is Navy blue, use White decals. 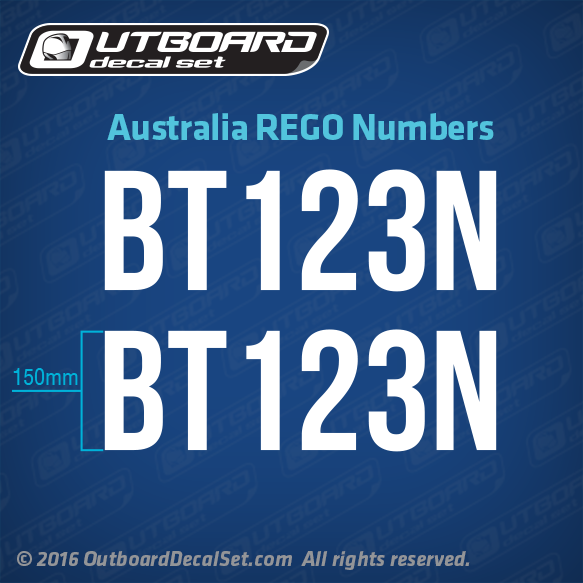 Port & Starboard Stickers Included - also meets requirements for power boats in ACT, QLD, NSW, TAS, SA & WA (complies in WA only if placed on a white hull/background) see note below in relation to WA requirements).